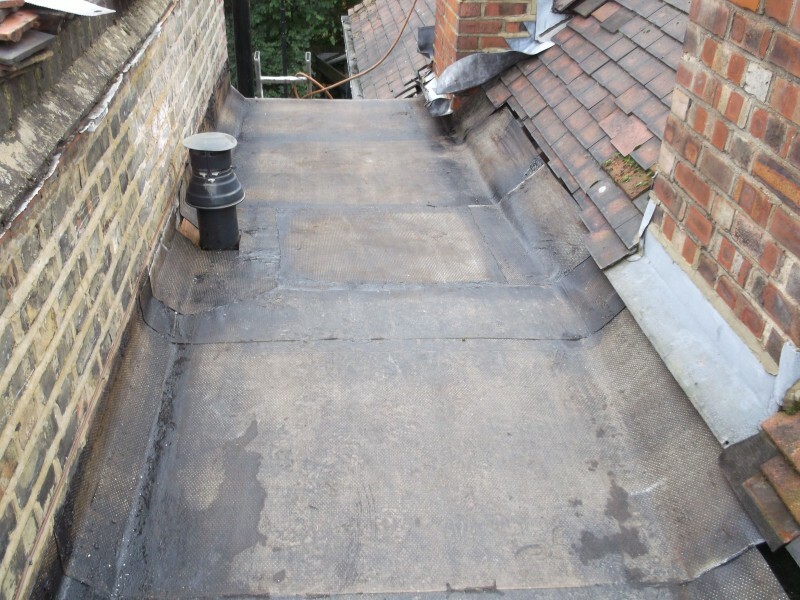 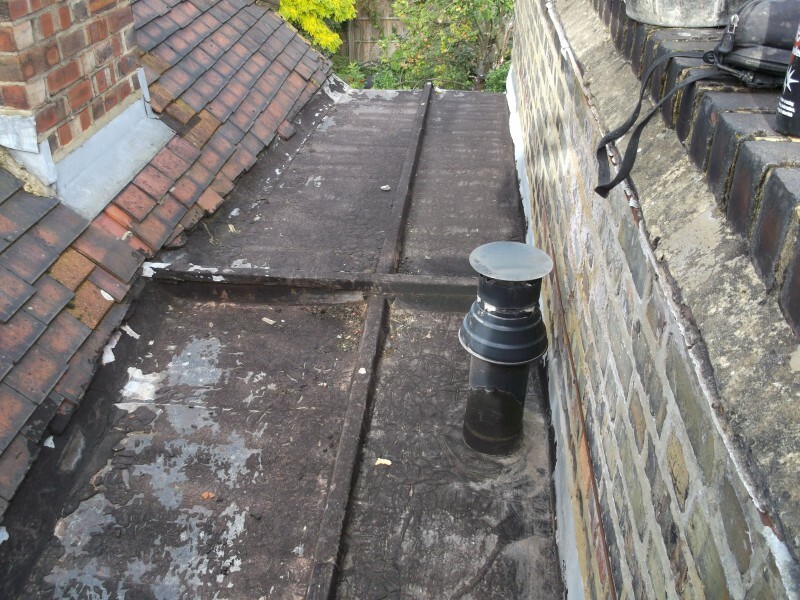 This side elevation flat roof was leaking in several places, you can probably see how bad the old roof was in the photos. 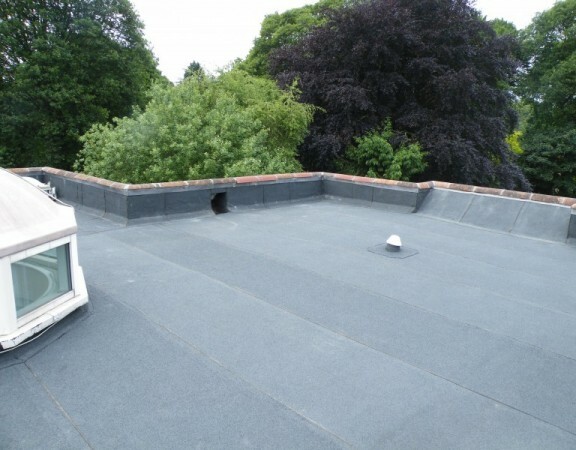 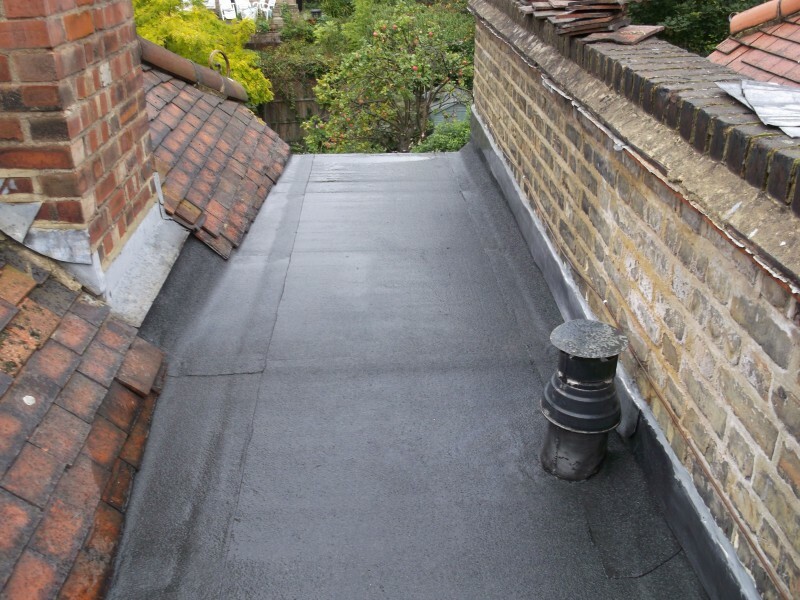 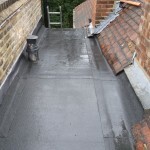 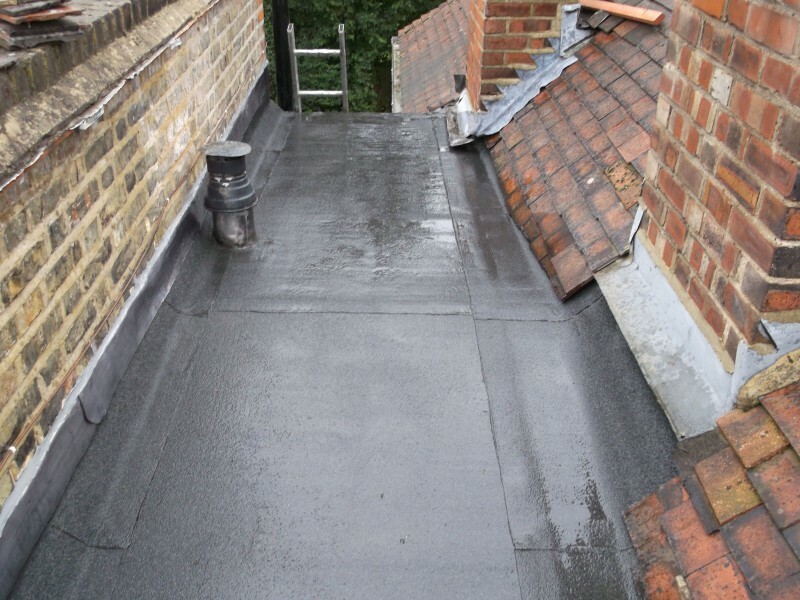 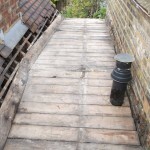 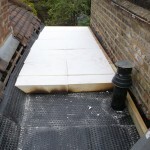 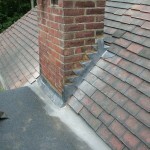 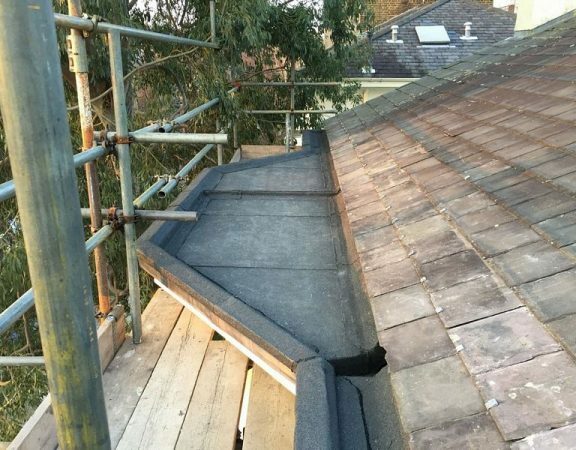 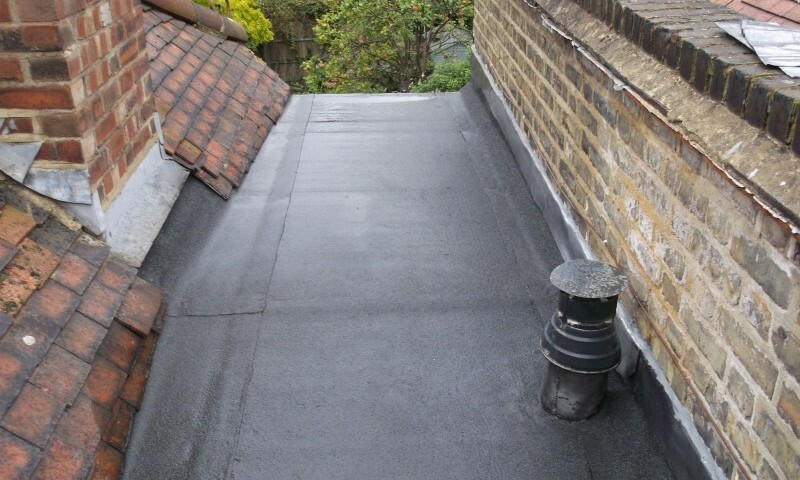 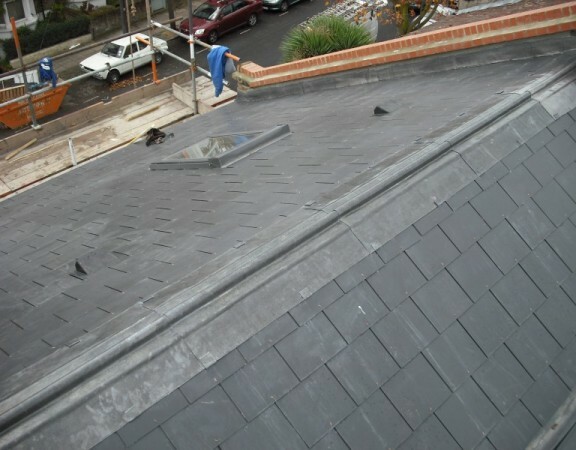 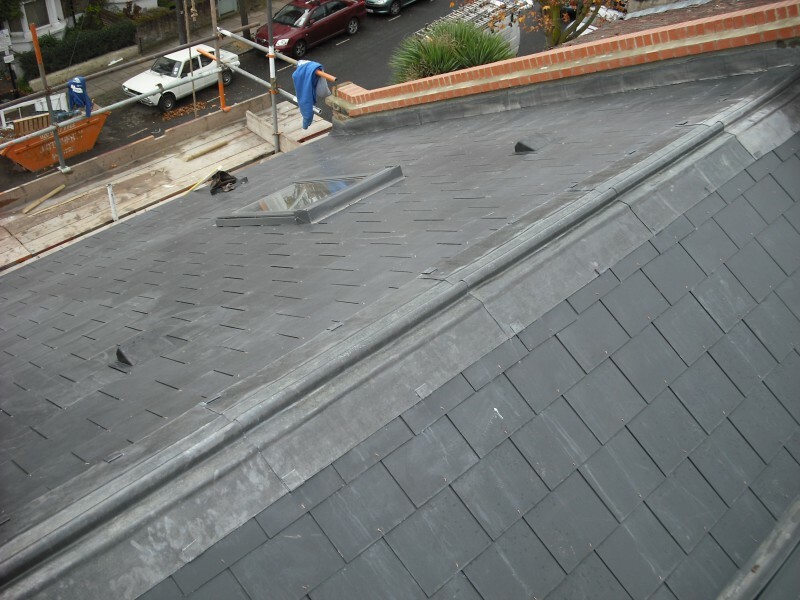 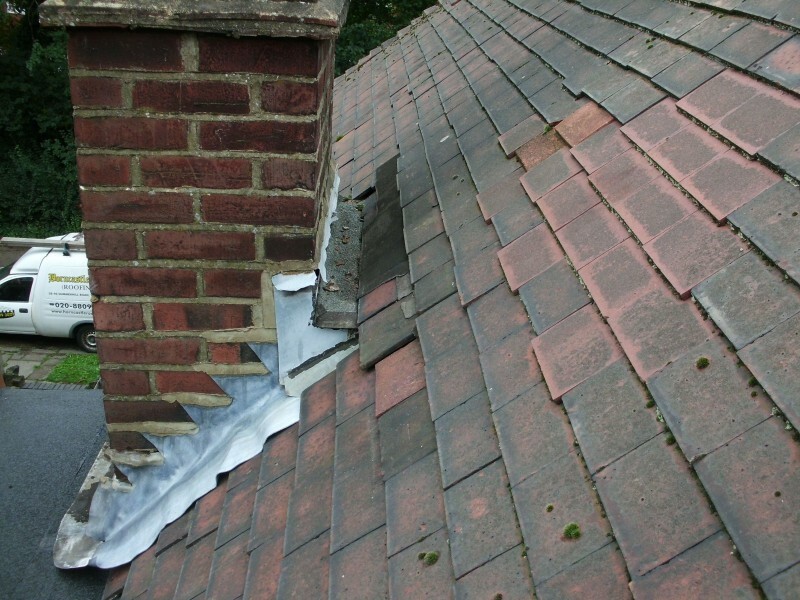 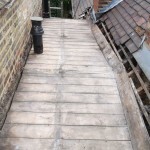 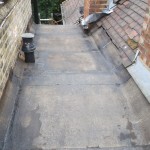 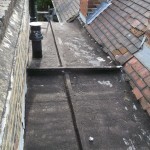 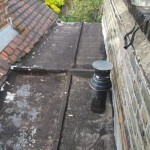 All the old coverings were removed, insulation was fitted and a 3 layer high performance felt was fitted. 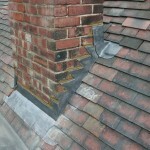 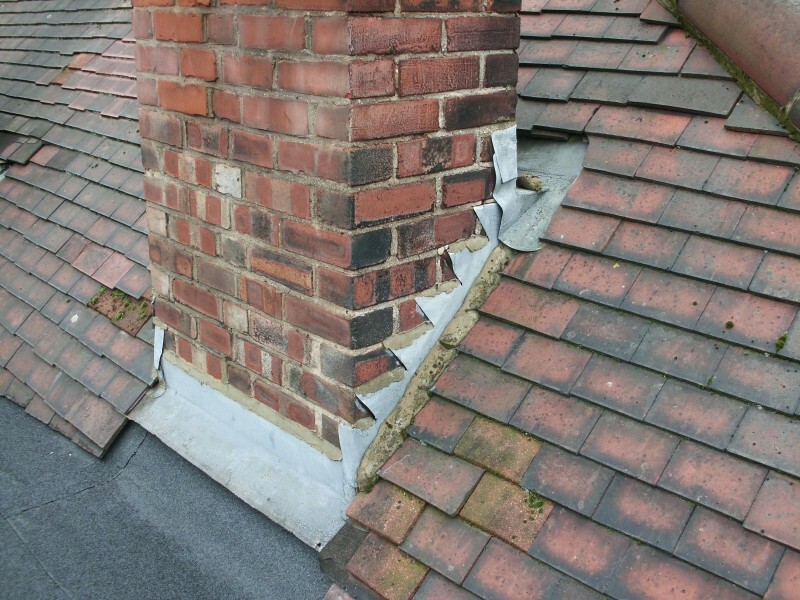 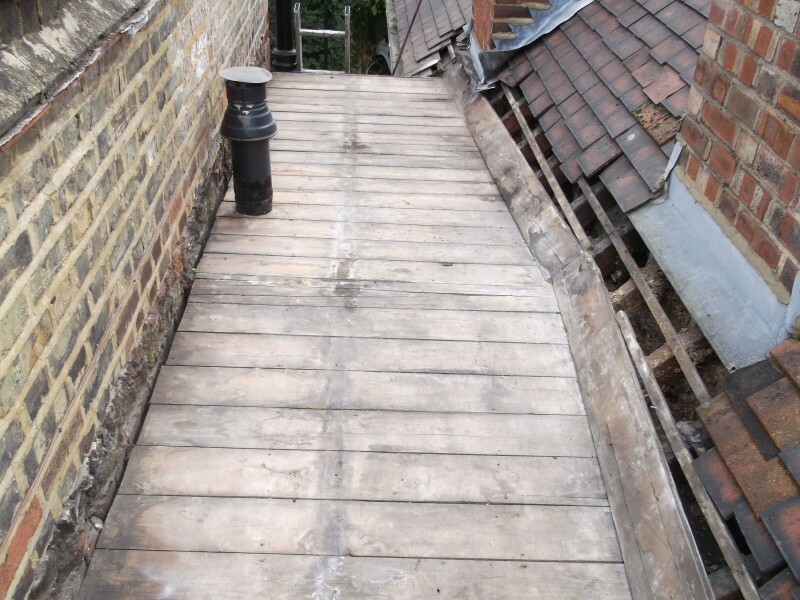 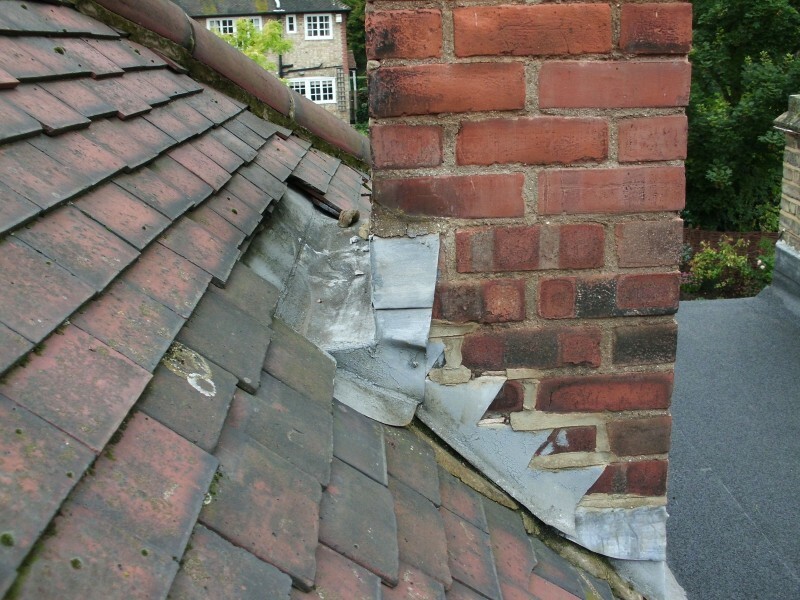 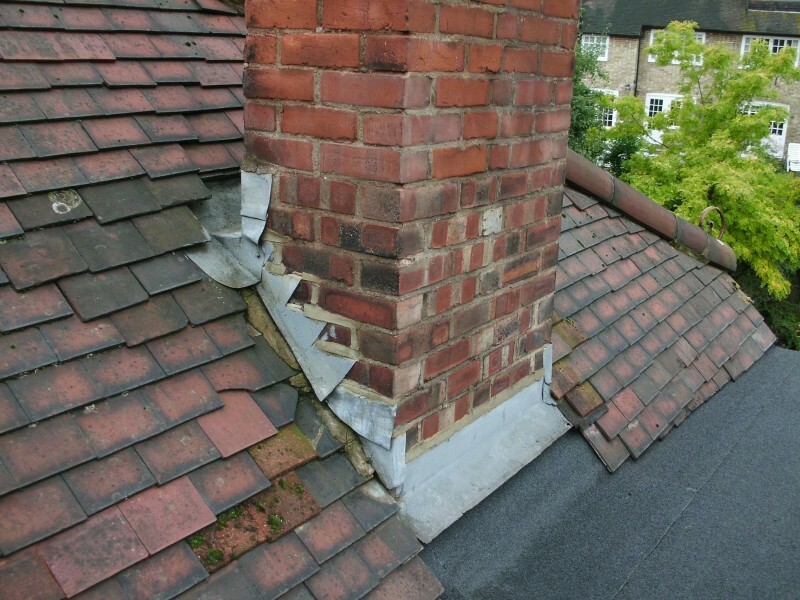 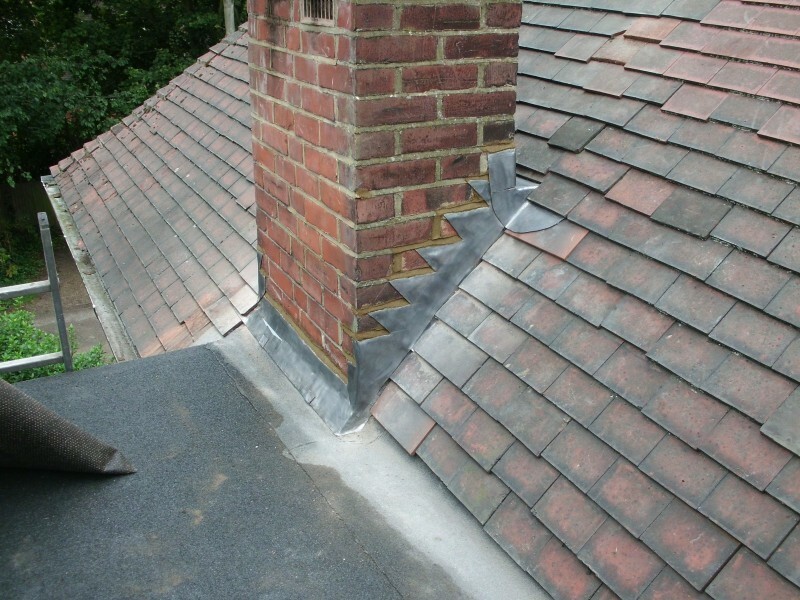 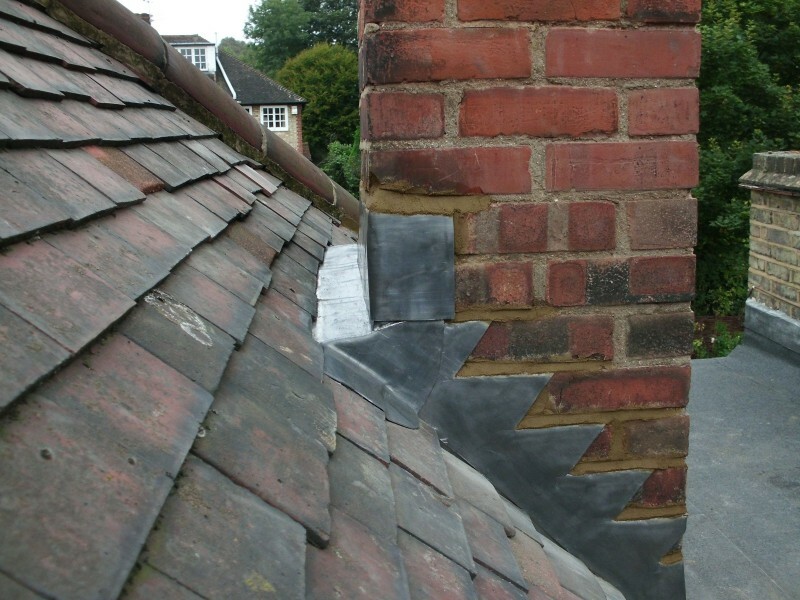 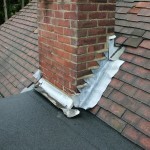 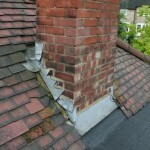 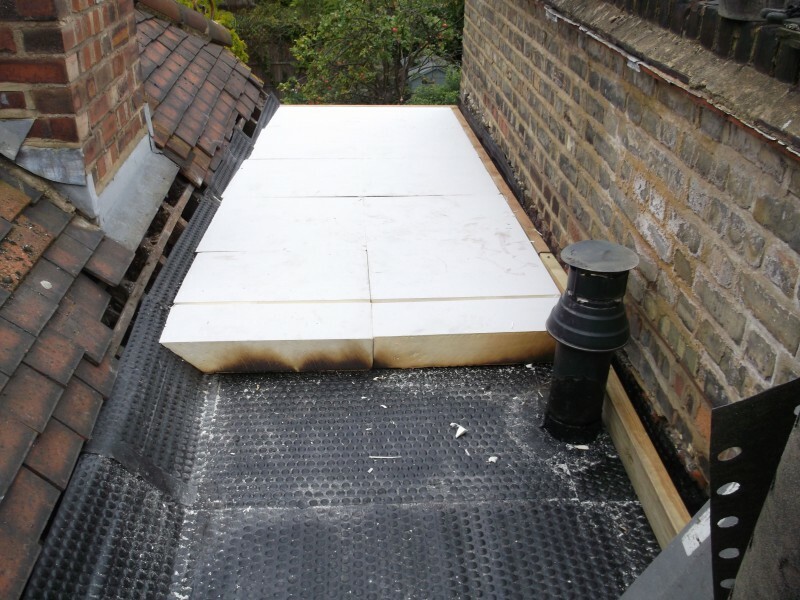 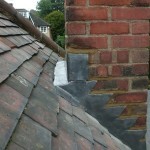 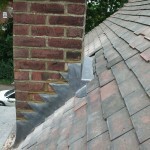 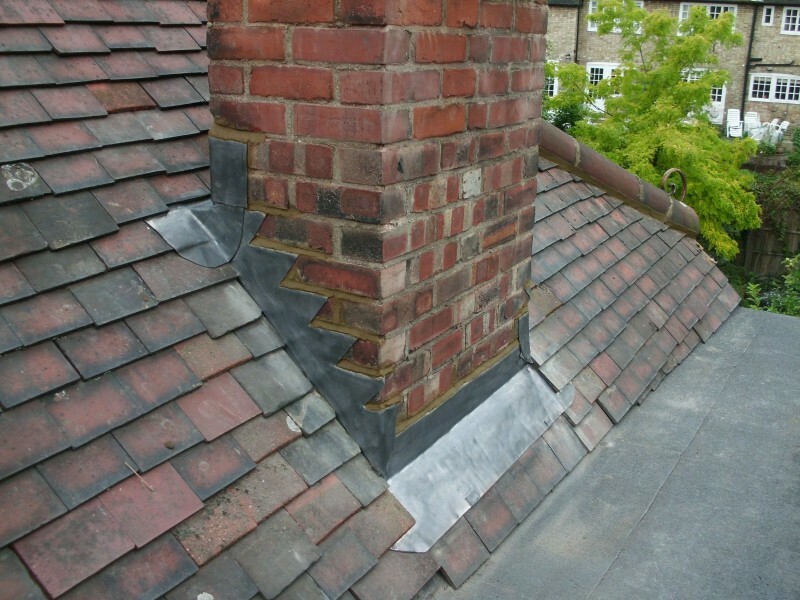 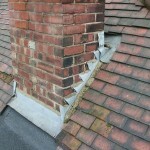 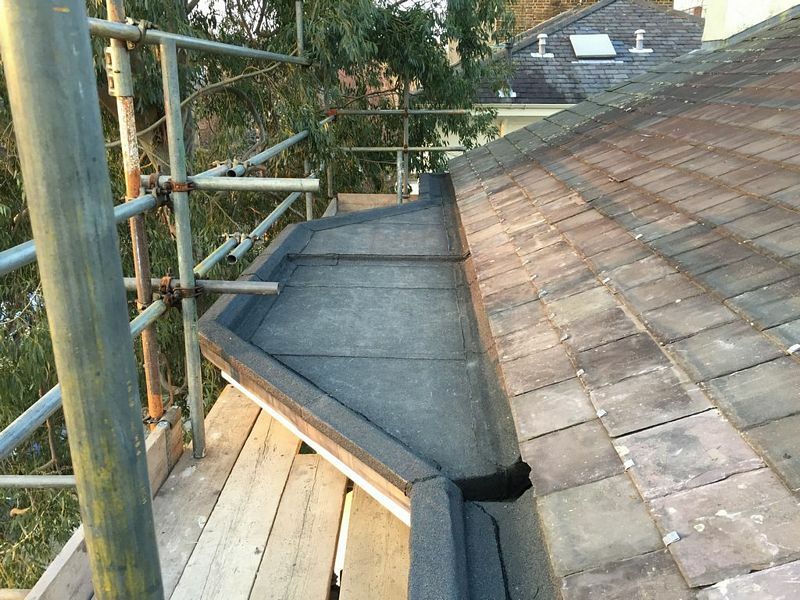 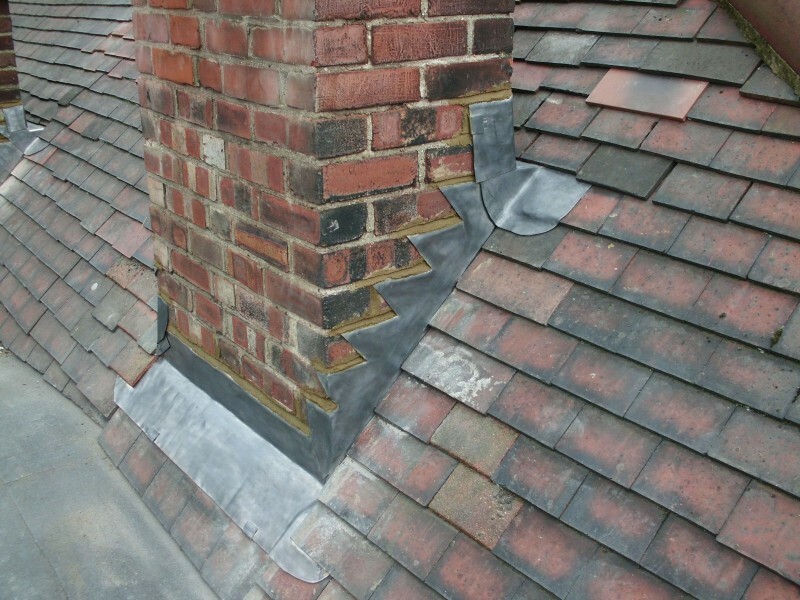 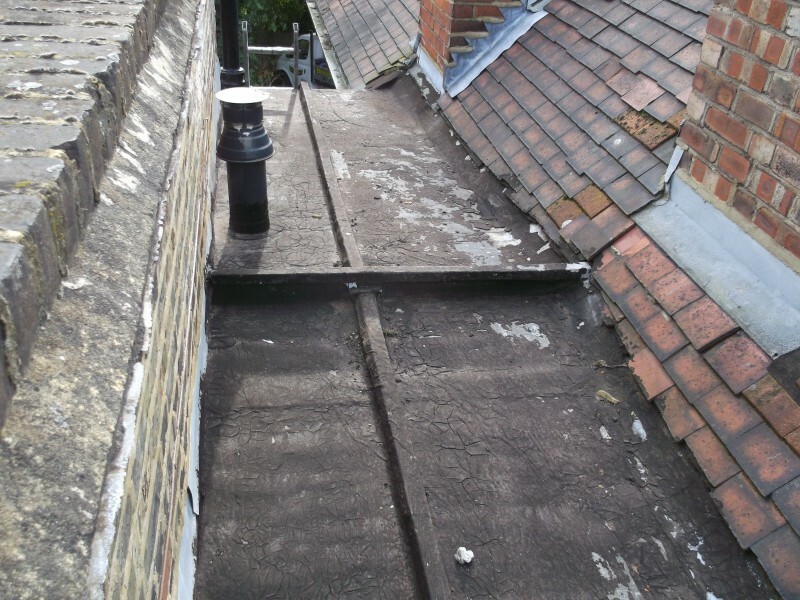 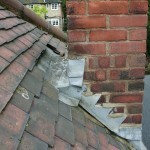 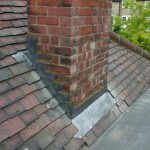 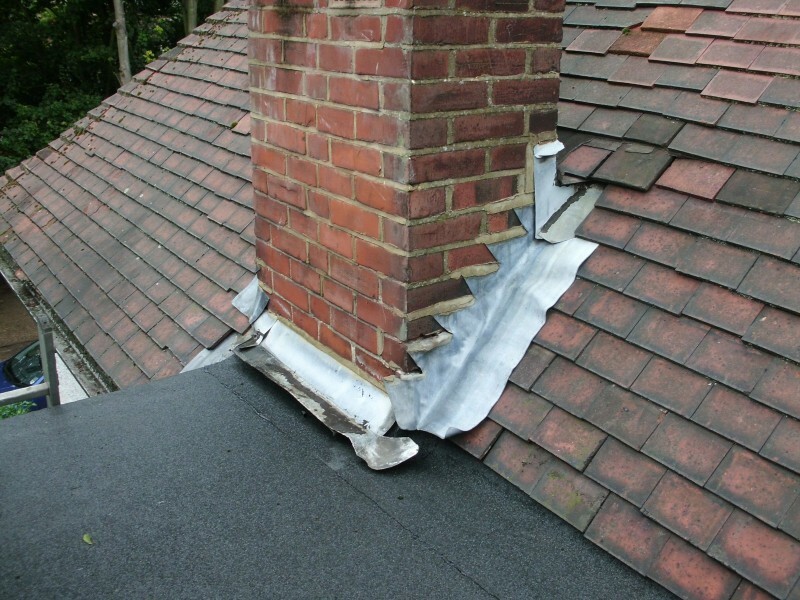 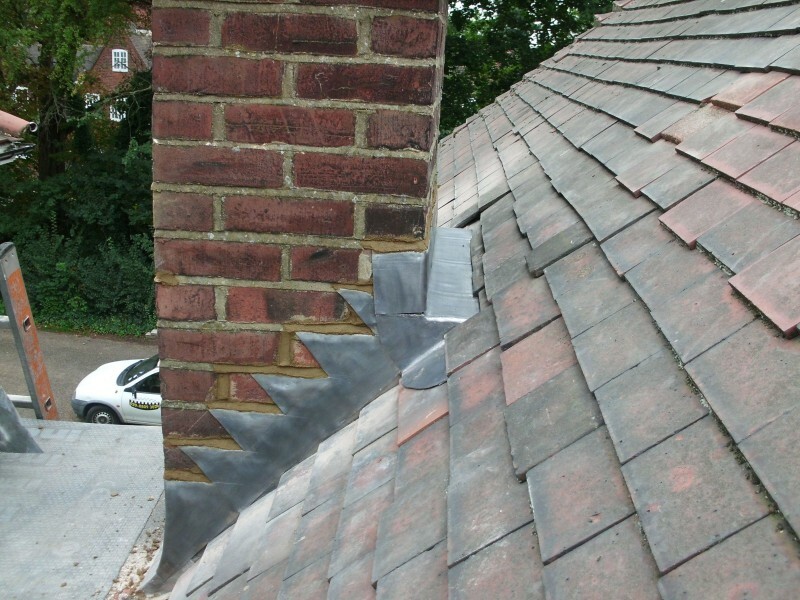 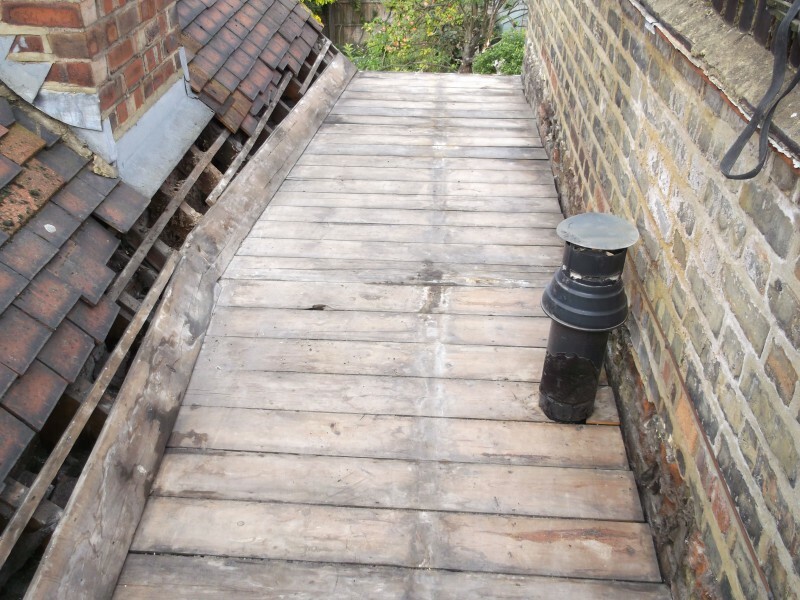 Whilst on site the lead work to both chimney stacks was replaced. 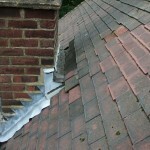 New soakers, flashings, back trays and front aprons were fitted and all lead welded were necessary.